1. Cut the steelhead trout into 1/2 inch cubes and place in a large bowl. 2. In the same bowl, add 6 oz. of SMS Hawaiian Poki Dressing, chopped green onions and sesame seeds and lightly toss. 3. Serve fish on top of the seaweed salad from our Deli Case. 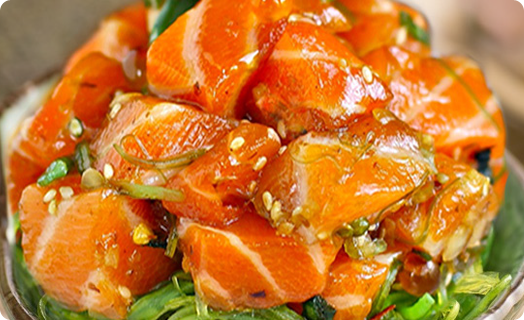 **We also suggest our SMS Wasabi Dressing with the Trout!